Behavioral scientist Inbal (Billie) Nahum-Shani is a world leader in the rapidly evolving field of adaptive interventions. Adaptive interventions use continuously updated information about a person to modify the type, timing, dose and delivery mode of support to address the individual’s needs sequentially over time. She develops organizing frameworks and research methodologies that are applicable to many areas of behavioral health research, including obesity, alcohol misuse and substance abuse. Nahum-Shani earned Bachelor of Arts and Master of Arts degrees from Haifa University and a Ph.D. from Technion­-Israel Institute of Technology. She joined the U-M Institute for Social Research in 2010. In a series of studies focused on support, stress and well-being, Nahum-Shani provided new insights concerning conditions and contexts in which offering support benefits rather than undermines. Those discoveries motivate and inform her work on adaptive interventions. In addition to developing and implementing novel methodologies for constructing adaptive intervention, she is a leader in leveraging advances in mobile technology to construct just-in-time adaptive interventions. In these interventions, the real-time delivery of support is adapted to address conditions that change more rapidly, outside of standard treatment settings. Nahum-Shani has mentored more than 17 undergraduates, graduate students, Ph.D. candidates and postdoctoral fellows. She frequently leads training and workshops, including at the Mobile Health (mHealth) Training Institute, funded by the National Institutes of Health. She also has coordinated and taught at the Survey Research Center Quantitative Methodology Program Seminar. Nahum-Shani advises NIH-funded networks and centers and serves on the Dartmouth College Center for Technology and Behavioral Health advisory board. 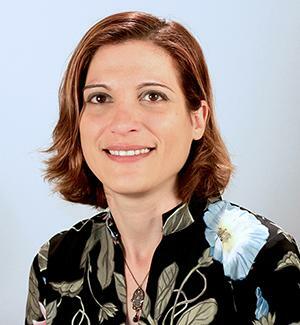 She is a reviewer for Biometrics, Clinical Trials, and Statistical Methods in Medical Research, among others, and in 2015, the Academy of Management presented her its outstanding reviewer award.